Some very sad news this Bank Holiday, it seems that horror movie director Wes Craven passed away over the weekend, aged 76. 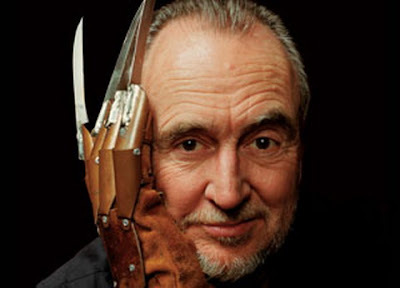 From the BBC News website - American horror film director Wes Craven, creator of the Nightmare on Elm Street franchise, has died aged 76. A pioneer of the slasher genre, Craven once said of his work: "Horror films don't create fear. They release it." Reflecting on his career, Craven remarked that his intention was always to innovate: "I tried to make movies where I can honestly say I haven't seen that before and to follow my deepest intuitions and in some cases literally my dreams." Actors posted tributes on social media including actress Courtney Cox, who starred in Craven's 1996 Scream and appeared in the franchise's three subsequent films. She said: "Today the world lost a great man, my friend and mentor, Wes Craven. My heart goes out to his family. x"
Rose McGowan, who also featured in the original Scream, said: "Thank you for being the kindest man, the gentlest man, and one of the smartest men I've known. Please say there's a plot twist." 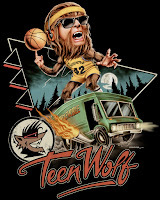 RIP Wes, and thanks for all the films. 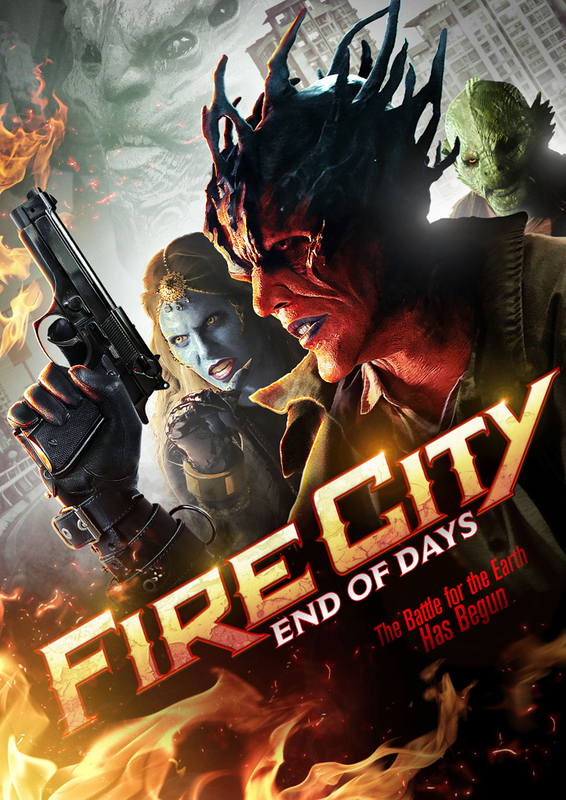 "Fire City", written by Brian Lubocki and Michael Hayes and inspired by Woodruff’s short film, "Fire City: King of Miseries", was successfully financed by way of a Kickstarter campaign in 2013. The film comes to US DVD and Digital outlets October 6 from Uncork’d Entertainment. Joe Chien's “Zombie Fight Club” received its UK premiere at Frightfest this weekend, but though I may have been unable to attend that, I was able to secure a review disc to take a look at. Set in Taiwan, a Police SWAT team are raiding a run down block of flats, looking to take out a notorious drugs den, when they find that the building is in the grip of a zombie outbreak. It seems bad batch of pills they’ve been dealing have turned several of the users into blood thirsty zombies, who are now attacking the other tenants and spreading the infection. As a result, the surviving officers, along with some of the residents have to try and fight their way past hordes of undead, as they battle to make it back outside to safety. But even if they do manage to make it, what awaits for them outside? Fast paced, over the top and packed with gore (which is mostly of the CGI variety), the film is best described as a sort-of cross between “The Raid” and “Dawn of the Dead” and is tremendous fun. Though if you’re wondering where the “fight club” title fits into this, there’s an epilogue scene (which I won’t spoil for you) showing events a year on, which sort of explains this. The films audio is in Mandarin, with English subs, though some characters speak intermittently in English, which kept throwing me. The film is apparently a sequel of sorts to the director’s earlier “Zombie 108”, so if you’ve seen that you’ll know what to expect. But even if you haven’t, zombie movie fans are going to want to check this one out. The DVD is released in the UK August 31st from Altitude films and contains a trailer as an extra. 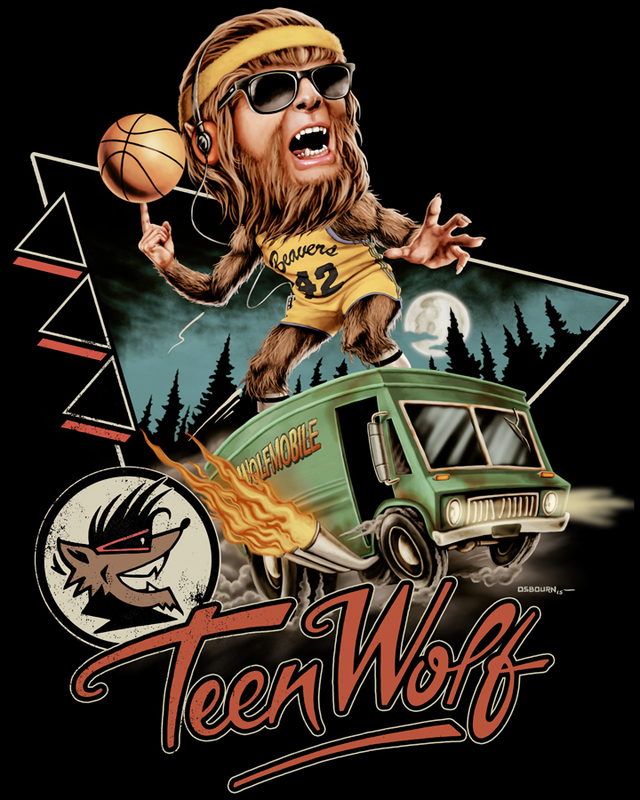 "Teen Wolf" hit US theatres 30 years ago this week, instantly becoming an '80s favourite. Fright-Rags is commemorating Michael J. 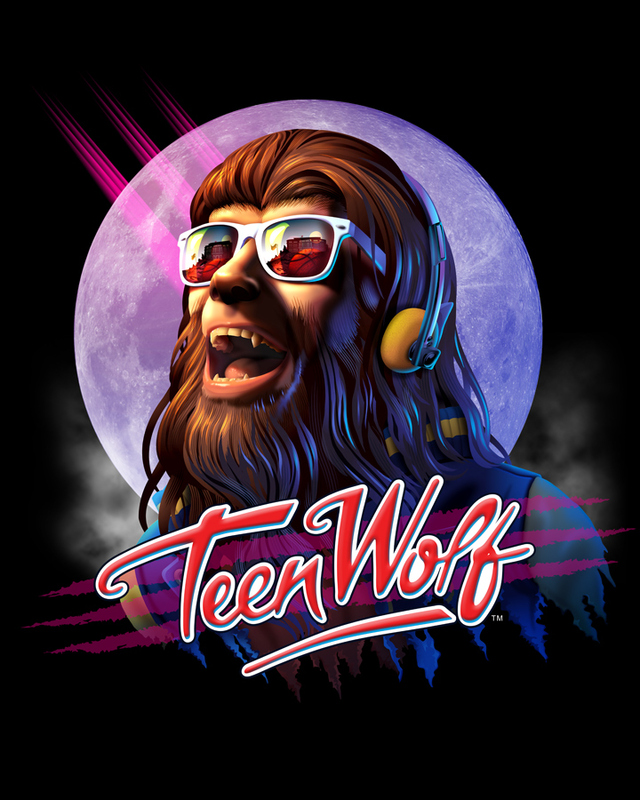 Fox's transformation into a werewolf with a new line of apparel. The collection kicks off with a pair of shirts designed by Justin Osbourn and Rocky Davies. Each one is available on both standard tees and girls shirts. 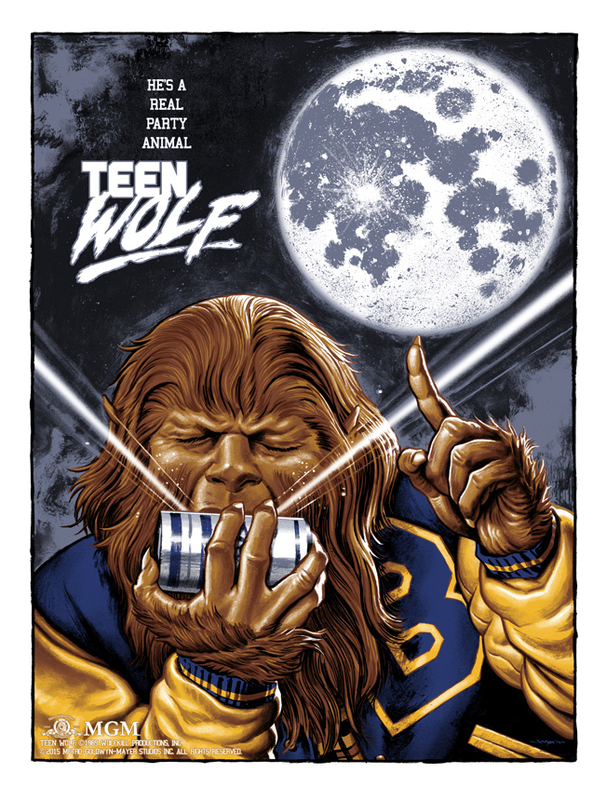 The line also includes a screenprinted poster by Jason Edmiston. Measuring 18x24, the print is limited to 150 pieces. 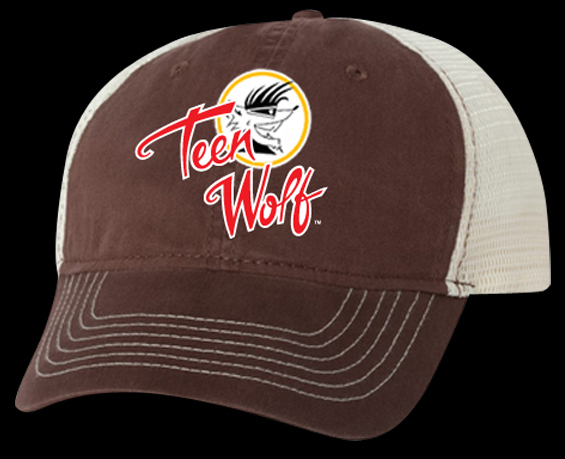 Rounding out the lot is a trucker-style hat embroidered with the Teen Wolf logo. 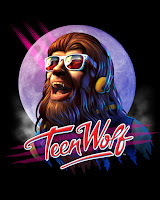 The "Teen Wolf" collection is available for pre-order now at Fright-Rags.com. These items are limited and may sell out during the pre-order period. They are expected to ship in late September. Pre-order these now at the Fright-Rags website. Dominic Purcell plays "The Elimination Game" this Oct.
Dysotopian adventure "The Elimination Game" starring Dominic Purcell (Blade 3, TVs Prison Break) comes to UK DVD this October. 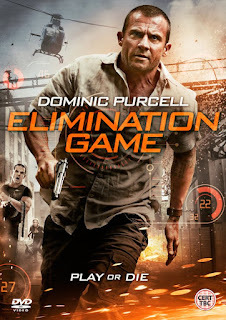 Find out in "The Elimination Game", which comes to UK DVD October 12th from Altitude films. "The Hallow" - first look clip and Frightfest debut. Coming to UK DVD this October, from the makers of The Devil Inside, comes the rebirth of one of horror’s most iconic monsters. Presented as a found footage documentary, it follows a defence lawyer who discovers something beastly about her client. 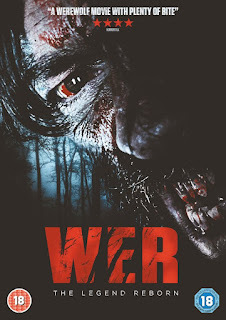 A howling good horror, with a smart reinvention of the werewolf legend, big scares and great performances. "Wer" is released to UK DVD October 17th from Entertainment One. 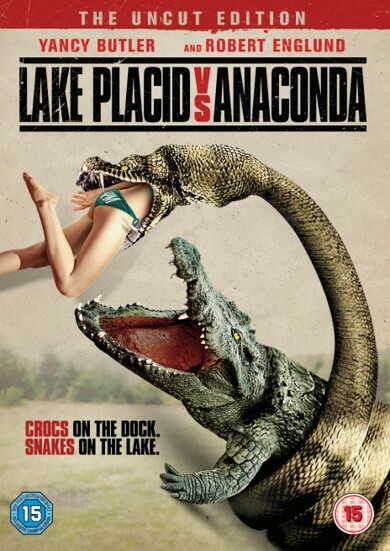 "Lake Placid" vs Anaconda" - new trailer released. Checkout the trailer for forthcoming "Lake Placid" vs Anaconda", which hits UK DVD and Digital HD, Sept 7th. ESTRANGED, a sinister psychological thriller from director Adam Levins (Population Zero), produced by Steven Schneider (Insidious series, Paranormal Activity) and William Borthwick (City Rats, Population Zero) starring Amy Manson (Once upon a Time, Atlantis), Nora-Jane Noone (Brooklyn, The Descent), James Cosmo (The Legend of Barney Thomson, Game of Thrones), James Lance (Bronson, Northern Soul), Simon Quartman (HBO's Westworld, The Devil Inside) and Craig Conway (The Descent, Doomsday). Since FrightFest was set up 15 years ago, it has grown in size and stature, and is today internationally renowned for discovering exciting and original horror fantasy genre films. Last August, the festival screened 74 of the best horror films from around the world to UK audiences, with many world and European premieres. Over the years the festival directors, Greg Day, Alan Jones, Paul McEvoy and Ian Rattray, have also brought masters of the genre to the festival including Guillermo del Toro, George Romero, Dario Argento and Sam Raimi. FrightFest has developed into a brand leader for horror film, expanding its footprint in the UK by hosting special strands at other festivals to great success, such as the recent three-day event at the Glasgow Film Festival. "Madman" - UK BD/DVD combo pack review. 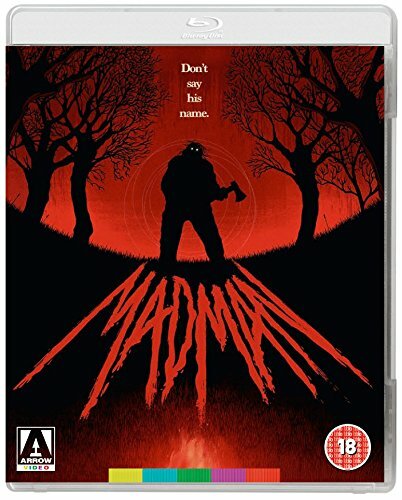 Cult 80s slasher “Madman” makes it’s UK BD debut this month courtesy of Arrow films in an extras laden BD/DVD combo pack. Owing more than a passing nod to “Friday the 13th”, coming out during the slasher boom of the 80s, the film starts with a group of summer camp counsellors hearing a scary campfire tale about a brutal killer named Madman Marz. According to local folklore, he supposedly still haunts the area and if you say his name louder than a whisper, he’ll come for you. However, one of the teen counsellors decides to tempt fate by shouting his name out loud and throwing a rock through the window of the derelict old farmhouse he supposedly occupied (never a good idea in a horror film). Needless to say, the next thing we see, there’s a huge axe wielding maniac on the loose in the camp, carving up the teens. Who don’t exactly do themselves any favours by wandering off into the woods alone to look for their missing friends. Also starring Gaylen Ross (Dawn of the Dead), who’s strangely credited as Alexis Dubin, the film was originally shot under the title “Cropsey”, and was based on the urban legend of the Cropsey Maniac, who supposedly terrorised summer camps in New York’s Hudson Valley. However, they had to change the name and alter the script to try and distance themselves from “The Burning”, which was filming at the same time and was based on the same legend. “Madman” has previously been available on disc, but this release marks the first time the film has been available on BD, having been transferred from the original negatives, and comes packed with a huge selection of extras. First of all you get 2x audio commentary tracks that accompany the main feature. The first with Director Joe Giannone, Tony Fish (T.P. ), Paul Ehlers (Madman Marz) and producer Gary Sales (originally recorded for the 2001 Anchor bay DVD release). The second is a fan commentary with Joseph Henson, Justin Kerswell and other folk from the Hysteria Continues horror podcast. The Legend still Lives (91m) – Extensive retrospective documentary about the making of the film, featuring interviews with writer/producer Gary Sales and cast members Harriet Bass (Stacy), Carl Fredericks (Max) and of course Paul Ehlers (Madman Marz himself), amongst others and looks at some of the filming locations (originally recorded for the 2010 Code Red DVD). Madman : Alive at 35 (21mins) –Tom Candela (Ritchie), Gary Sales and Paul Ehlers meet up and reminisce about the making of the film (Originally recorded for the 2015 Vinegar Syndrome release). The Early Career of Gary Sales (14m) : Producer Gary Sales discusses how he got started in the film industry and talks about some of his other early productions. Dead Pit Interviews : Couple of interviews with Gary Sales (3:30s) and Paul Ehlers (5:17s) being interviewed by the host of Deadpit Radio at a horror convention. In Memorium (5:48s) – Gary Sales pays tribute to Director Joe Giannone, Tony Fish (T.P) and Carl Fredericks (Max) who have since passed away. Trailers and TV spots – The original theatrical trailer and 5x TV spots are included on the disc. Stills and Artwork gallery (7:20) – A collection of behind the scenes photos, narrated by Gary Sales, along with a selection of Lobby Cards and review articles. The case also contains a reversible sleeve, featuring original and newly commissioned artwork by Matt Griffin and inside there’s a collector’s booklet, featuring new writing on the film, illustrated with original archive stills and posters. This release contains both a BD and DVD. I was sent a Blu-Ray to review, but the enclosed DVD contains the exact same features on. “Madman” may not be as well known as its contemporaries, but it’s still hugely enjoyable and was apparently the main influence on Adam Green’s “Hatchet” series of films. If you’re a fan of 80s slashers, this Arrow disc is definitely a worthy addition to anybody’s collection. 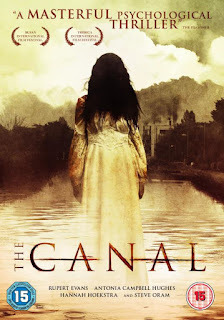 From the producer of INSIDIOUS and PARANORMAL ACTIVITY, a genuinely creepy concept that once again reinvents the “found-footage” horror movie and blurs the lines between reality and fiction. Following five filmmakers on a road trip to find an alternative Halloween tourist attraction, it builds to a nerve-shredding climax that will haunt you for days. 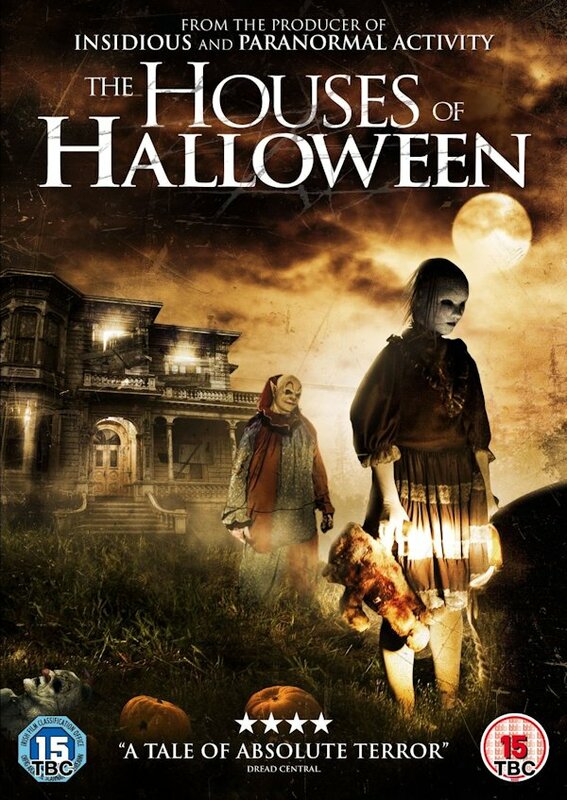 "HOUSES OF HALLOWEEN" hits UK DVD October 5th from Kaleidoscope Entertainment. Twentieth Century Fox presents a selection of brand new stills for the release of Victor Frankenstein, starring James McAvoy and Daniel Radcliffe. This fresh take on Mary Shelley's classic story is brought to you by director Paul McGuigan (Gangster #1, Push, Sherlock) and is written by Max Landis (Chronicle). 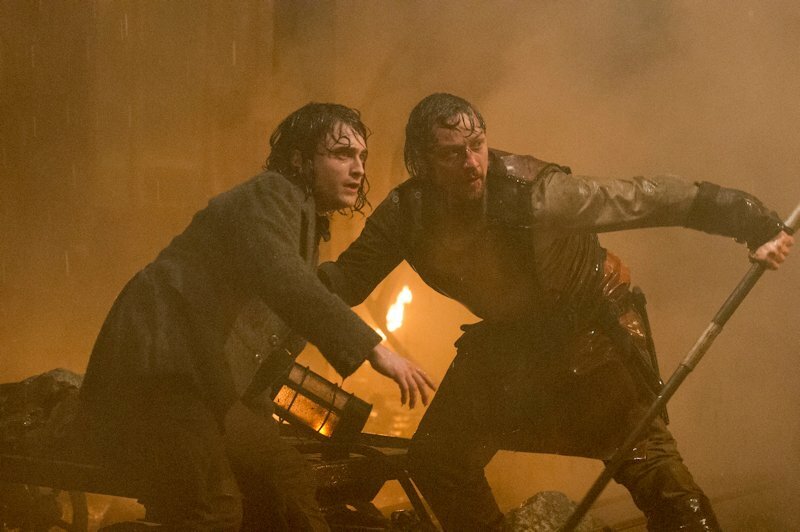 Victor Frankenstein will be released in UK cinemas on December 4th. On the eve of Film4 FrightFest 2015, Barbara Crampton talks about being their special guest, being part of the ‘horror club’, scary scripts, still doing the laundry and why Abner Pastoll is one to watch. Q: What was your initial reaction when told you were this year’s special Icon guest? A: The importance of these film festivals for young directors to get their work seen and recognized is of the upmost importance in today’s film market. The competition to be included in one of the major genre film festivals is extremely high. When I was a young actress there were a handful of festivals where people could showcase their work. Today, there are many genre festivals across the globe that introduce the hungry audiences to their deepest fears, anxieties and monsters in the bedroom. That being said, to be invited to one of the best genre festivals around today, to be remembered for my past horror movies and to share some of my recent work, to support the new young film makers that I have had the wonderful opportunity to work with is very meaningful to me. I have worked in this genre for a long-time but only recently have come to realize how important these movies have been to me and continue to be for so many people. Finally, I feel like I am part of a club I didn’t realize I have been in for a long-time. To be this year’s special guest is an honour and one for which I am truly grateful. Q: ROAD GAMES is Abner Pastoll's feature debut as a director? You seem to like supporting first time directors? Q: You only have a small cameo in TALES OF HALLOWEEN. You are in Axelle Carolyn's episode at a party scene with directors Stuart Gordon and Mick Garris and actress Lisa Marie. Fun to do? 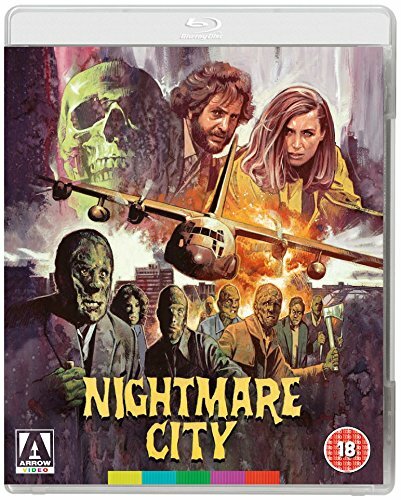 Umberto Lenzi’s outrageous film about radioactive zombies on the rampage gets the Arrow treatment this month, as “Nightmare City” is released in a BD/DVD combo pack to UK video shelves. Set in an unspecified American city (actually Madrid). News reporter Dean Miller (Hugo Stiglitz) is supposed to be interviewing a scientist at the local airport, when an unidentified military cargo plane touches down. Surrounded by armed police and soldiers, the doors swing open and hoards of fast moving, radiation scarred zombies burst out from within, wielding bats, chains and clubs. Miller and his crew capture the ensuing, over the top, action scenes on their cameras, as we see the zombies aren’t stopped by the soldier’s machine gun fire. But their attempts to broadcast the footage on TV are prevented by the military, who don’t want to panic the population. In the meantime, the zombies continue to rampage throughout the city, attacking the TV station and the local power plant, before turning the hospital into a bloodbath in a series of hilariously, action packed gore scenes. As Miller and his wife try to flee the city. Exceptionally fast paced, with a body count that’s off the charts. “Nightmare City” is hilariously good fun and is arguably Umberto Lenzi’s most outrageous film. Zombie make up that looks like they just shoved the actors head into a bucket of mud. Cheap gore, over the top violence, rough acting, bad dubbing and ill fitting army uniforms all add to the charm. Not to mention that the authorities seem to forget the only way to stop these things is a bullet to the head, so the lead actor manages to kill more zombies in the last 10 minutes, than the police and army do in the entire film. There’s also a charming mish-mash of various Italian, Spanish, American and Mexican actors, who were all added to appeal to the various financial backers. Including US TV actor Mel Ferrer (who also starred in Lenzi’s “Eaten Alive”) Spanish actor Francisco Rabal and Mexican actor Hugo Stiglitz (yes THE Hugo Stiglitz), who’s renown as one of the most wooden actors in European cinema. Now, there are 2 different transfers of the film included on the disc. The first is taken from the original camera negatives, which were in very poor condition, as the film stock had deteriorated badly over the years. Though the picture is ‘sharp’, the deterioration has produced yellow blotches on the print and jittery colours, which are still evident, despite their best efforts to clean it up. The second transfer comes from a duplicate negative, which has a slightly softer picture, but better quality overall. Arrow included both as they couldn’t decide which was the best and thought it better for buyers to make their own mind up. Though personally I think the second transfer from the duplicate negative looks superb on my 40” Samsung set. The problems with the transfers are discussed in one of the special features on the disc, which I’ll come to in a moment. It should be noted that the first transfer uses the original Italian credits, with the title “Incubo Sulla Citta Contaminate”, whereas the second has the more familiar English credits with the “Nightmare City” title. Both the original Italian dub and more common English language dub are included with both versions of the film (both are mono), BUT unless you go to the set-up menu and select “English” from the language options first, the default language will be Italian, for some strange reason. -Audio commentary track – Fangoria editor Tim Lucas discusses the films many hilarious peculiarities. -The Limits of Restoration (4:30) a quick look at the problems Arrow had in transferring the film from the best available source material, including side-by-side comparisons of the 2 prints used to show the difference. -Eli Roth on Nightmare City (10m) - The director of “Hostel” discusses his love for Lenzi’s exploitation films, in particular Nightmare City. -Alternate opening titles – these are basically the English titles, but with the alternate screen title “Attack of the Zombies” at the start. -Original theatrical trailer - The English trailer, common on many previous DVDs, is reproduced here. But with optional English or Italian audio. Though as with the main feature, the default appears to be Italian for some strange reason. As with most arrow releases, this is a combo-pack, which includes both the BD and DVD versions of the film. I was given the BD to review, but I believe the DVD contains the exact same extras on, including both transfers of the film (though obviously in SD not HD). The case also contains a reversible sleeve, featuring the original artwork on one side and new artwork from Graham Humphreys on the other. Also included is a collector’s booklet, featuring new writing on the film by John Martin, author of Seduction of the “Gullible: The Truth Behind the Video Nasty Scandal”, which is illustrated with original archive stills and posters. “Nightmare City” is a completely bonkers film, which pre-dates the fast-running zombies from “28 Days Later” and the “Dawn of the Dead” remake by over 20 years and just has to be seen to be believed. This Arrow release certainly gives you the plenty of bang for your bucks. The only things I would have also liked to have seen included though, was some European trailers, plus the intro for the US release “City of the Walking Dead”, but I can live without those. Plus I found it odd that the default language on the discs is Italian, but these are just minor quibbles. If you haven’t seen this film yet, then pick this one up NOW!!!! 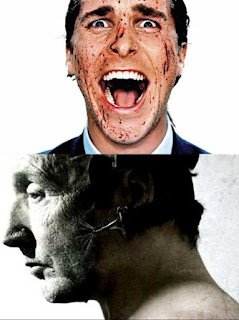 Patrick Bateman (Christian Bale) is young, white, handsome and indistinguishable from his Wall Street colleagues. Shielded by conformity, privilege, and wealth, Bateman is also the ultimate serial killer. After a colleague presents a business card superior in ink and paper to his, Bateman's blood thirst sharpens, and he steps up his homicidal activities to a frenzied pitch. Hatchets fly, butcher knives chop, chainsaws rip, and surgical instruments mutilate-how far will Bateman go? How much can he get away with? Also stars Willem Dafoe, Reese Witherspoon, Jared Leto and Chloë Sevigny. This broadcast marks the film’s 15th year anniversary. Jigsaw (Tobin Bell) might be dead, but his traps live on in this fifth Saw entry, which finds the series' production designer David Hackl at the helm for his directorial debut. Costas Mandylor reprises his role as Hoffman, the detective whose involvement in the string of grisly murders turns out to be more than meets the eye. Picking up where the fourth entry left off, Hoffman is revealed to be a hidden accomplice in Jigsaw's grisly games of death. Saw IV scribes Patrick Melton and Marcus Dunstan return to pen the screenplay. Saw VI concludes the second trilogy of the series that focused on the posthumous effects of the Jigsaw Killer and the progression of his successor, Mark Hoffman (Costas Mandylor) Hoffman sets a series of traps for an insurance executive, William Easton (Peter Outerbridge), and his employees. Meanwhile the FBI trails Peter Strahm, now suspected of being Jigsaw's last accomplice, and Hoffman is drawn into a violent, sadistic battle to protect his secret identity. 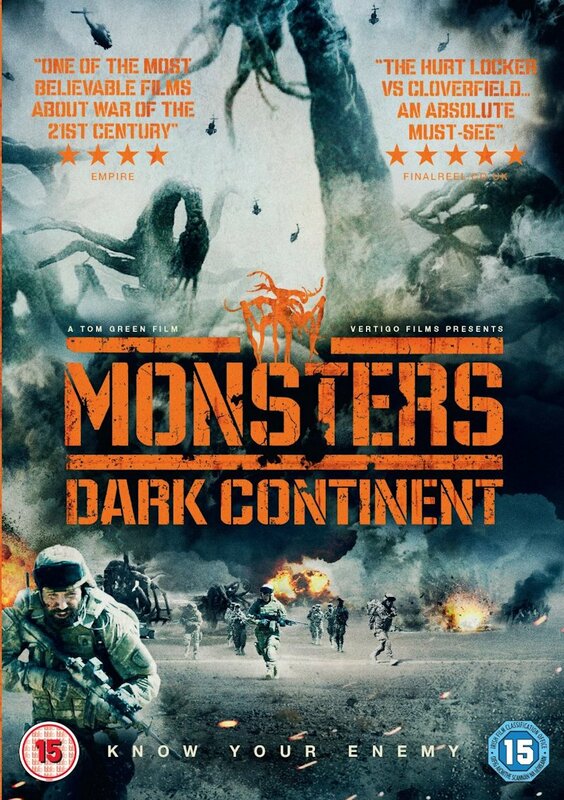 “Monsters : Dark Continent” - UK DVD/BD review. Tom Green’s “Monsters : Dark Continent” is the highly anticipated sequel to Gareth Edwards 2010 sci-fi thriller “Monsters”, which finally gets its UK release this month onto DVD and Blu-Ray. Now I must pre-face this review by stating that I was NOT a fan of the original “Monsters”, about the South American jungle being over run with giant space aliens. As I thought I was going to get a sci-fi action film, instead I got 90mins of 2 Americans trudging through the jungle, trying to sneak back into the US after they get their passports stolen. The titular monsters being little more than peripheral characters in a background story. So it was with some trepidation that I approached this sequel. Anyway, taking place some 10 years after the original, the deserts of the Middle East have also been ‘infected’ with the large Alien monsters, and the US military have been sent to help the Arab authorities deal with them. This has caused much consternation amongst the locals, who view the Americans as little more than an invading force. Meaning, despite their good intentions, the US military are having to deal with terrorist insurgents and roadside bombs, as well as these giant aliens. I actually found this film to be a great improvement over the original, you do get to see much more of the monsters this time and it’s certainly more action orientated than it’s predecessor. BUT, as with the first film, the titular monsters are little more than a backdrop to the actual main story, which in this case is about a group of soldiers travelling through the desert. Which otherwise could have been just another generic war film about the negative effects of US intervention in the troubles in the Middle East. Indeed, in many ways, the film was very reminiscent (perhaps overly so) of the Ford brothers 2010 film “The Dead”, which was also about a couple of soldiers trying to make it through the desert to safety. But in that film they were up against zombies instead of giant aliens. -Dog Fight VFX Breakdown (2m55) – A look at how the scene showing a pit-bull fighting one of the alien monsters was shot and how they superimposed the CGI effects. -Filming on Location (12m25) – A behind the scenes look at the various filming locations used in the film. All of which feature interviews with director Tom Green (that’s the English guy who directed TVs “Misfits” NOT the American comedian) and the cast and crew, including SFX technician Seb Barker and lead actors Johnny Harris and Sam Keeley. In summary, my personal opinion is that whilst “Monsters : Dark Continent” is a good movie, the film makers once again seem to miss the point. When you are selling a film about giant alien monsters threatening humanity, you expect a film about giant alien monsters threatening humanity and how we respond to it. Not a film where these monsters are an unrelated backdrop to some other story with little or nothing to do with it. Fans of the original will undoubtedly like this, but if you weren’t keen on that you may not be too receptive. The film is released to UK DVD, BD and limited edition BD steelbook August 31. In the tradition of TV classic V comes "Stranglehold" , from writer/director Joshua Gollish, invading US VOD outlets this September. Kevin Makely (Mr & Mrs Smith), Luke Edwards (TVs True Detective), and Carolyn Stotesbery (Love & Mercy) star. 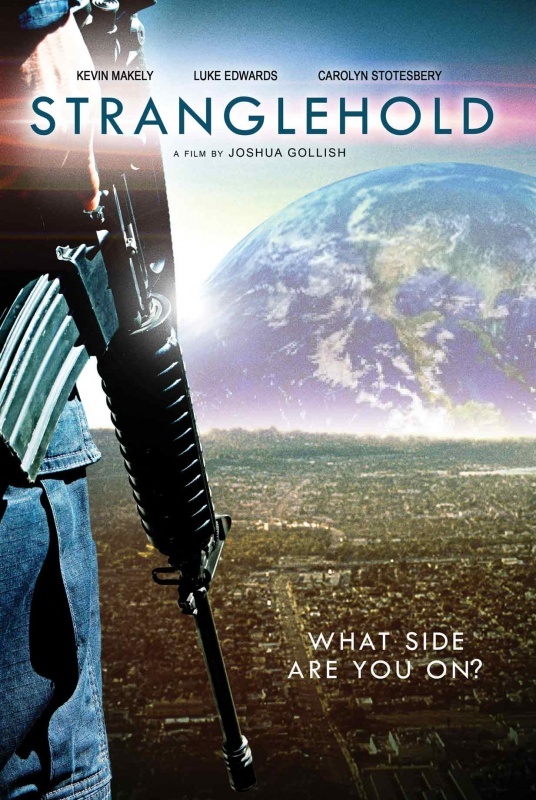 "Stranglehold" will be available from US VOD outlets September15 from Osiris Entertainment. "Sinister 2" - New clip revealed. 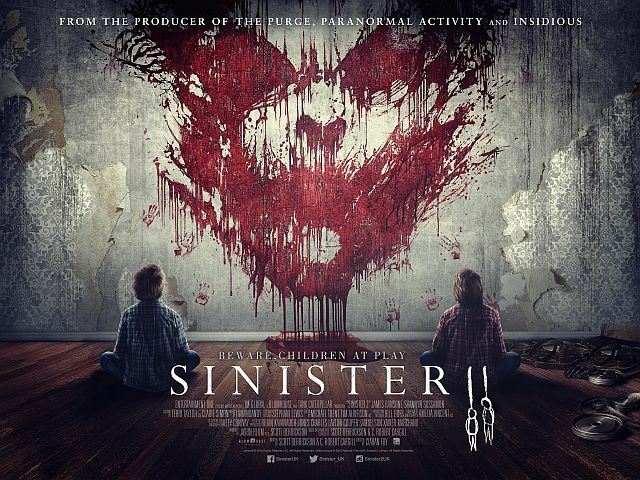 Entertainment One is pleased to release a brand new Clip, 'Christmas Morning' for "Sinister 2", released in UK cinemas August 21st. Visit the official Facebook, Twitter and Instagram pages. 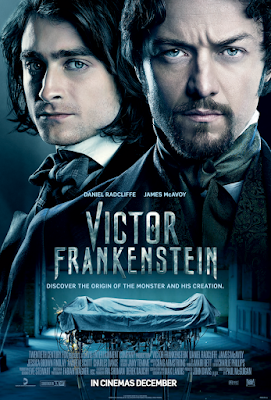 Twentieth Century Fox presents the first poster for "Victor Frankenstein", starring James McAvoy ("Xmen : First Class") and Daniel Radcliffe ("Woman n Black"). This fresh take on Mary Shelley's classic story is brought to you by director Paul McGuigan (Gangster #1, Push, Sherlock) and is written by Max Landis (Chronicle). "Victor Frankenstein" will be released in cinemas in the UK on December 4th. Having had its world premiere at Tribeca Film Festival, Kaleidoscope Home Entertainment is pleased to announce the UK release of THE CANAL, available digitally and on DVD from 14th September. Sitting in an empty theater, a film archivist watches the grainy footage that will be his undoing. David (Rupert Evans – "Hellboy") and his wife Alice (Hannah Hoekstra – "App") are perfectly happy—or so he believes. When he finds out the home he shares with his wife and son was the scene of a ghastly turn-of-the-century murder, David dismisses it as ancient history. That is, until the sinister history ripples into the present and casts a shadow over life as he knows it. And when a looming secret shatters his marriage, David can't help but suspect the dark spirits of the house are somehow involved. In his drive to unveil the shadows hidden in the walls, David begins to descend into insanity, threatening the lives of everyone around him. 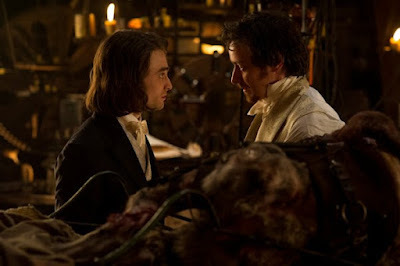 First trailer for "Victor Frankenstein"
Twentieth Century Fox present the first trailer and image for Victor Frankenstein, starring James McAvoy and Daniel Radcliffe. 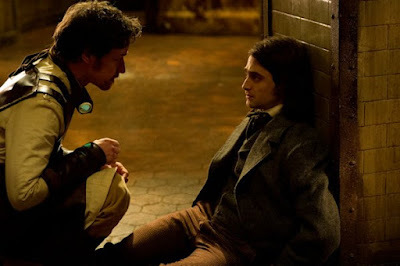 Radical scientist Victor Frankenstein (James McAvoy - "X-Men : First Class") and his equally brilliant protégé Igor Strausman (Daniel Radcliffe - "The Woman in Black") share a noble vision of aiding humanity through their groundbreaking research into immortality. But Victor’s experiments go too far, and his obsession has horrifying consequences. Only Igor can bring his friend back from the brink of madness and save him from his monstrous creation. 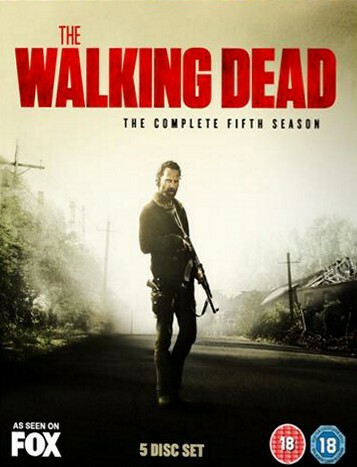 "THE WALKING DEAD: THE COMPLETE FIFTH SERIES" arrives on UK Blu-ray™ and DVD on 28th September. 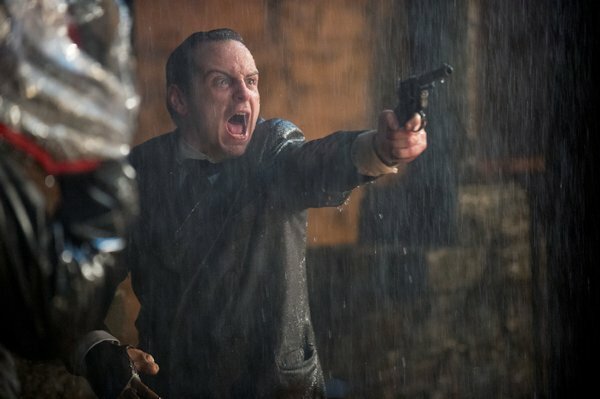 After the stunning Series Four finale, Rick (Lincoln) and the group remain outnumbered, outgunned and awaiting to discover their fate at the hands of their captors at Terminus. Are these survivors over precautious new friends or an unnerving new foe? No matter the result, the group knows now more than ever they will need to fight the living if they wish to survive in the world of the dead. Packed full of thrilling twists and turns, fan-favourite characters and landmark story-arcs, don’t miss "THE WALKING DEAD: THE COMPLETE FIFTH SERIES" as it arrives on Blu-ray and DVD from 28th September 2015, courtesy of Entertainment One. Also available on BD and DVD in a special Series 1-5 box set. The Series 5 set available on Amazon.co,uk also contains a special bonus disc "An Interview with Gregory Nictero: The Man With A Thousand Faces ". Coming to UK disc in October, "Tremors 5: Bloodlines" is the fifth film in the Tremors series based on the monster adventure films starring Michael Gross as firearms enthusiast and paranoid survivalist, Burt Gummer and Jamie Kennedy as tech savvy newcomer Travis Welker. Tremors centres on the vicious attacks of subterranean worm-like creatures known as graboids. It began in 1990 with the successful release of "Tremors", which spawned four films; two sequels, "Tremors 2: Aftershocks" and "Tremors 3: Back to Perfection", a prequel, "Tremors 4: The Legend Begins" and now the upcoming follow-up, "Tremors 5: Bloodlines". This time, the giant, man-eating Graboids are back and even deadlier than before, terrorising the inhabitants of a South African wildlife reserve as they attack from below-and above. 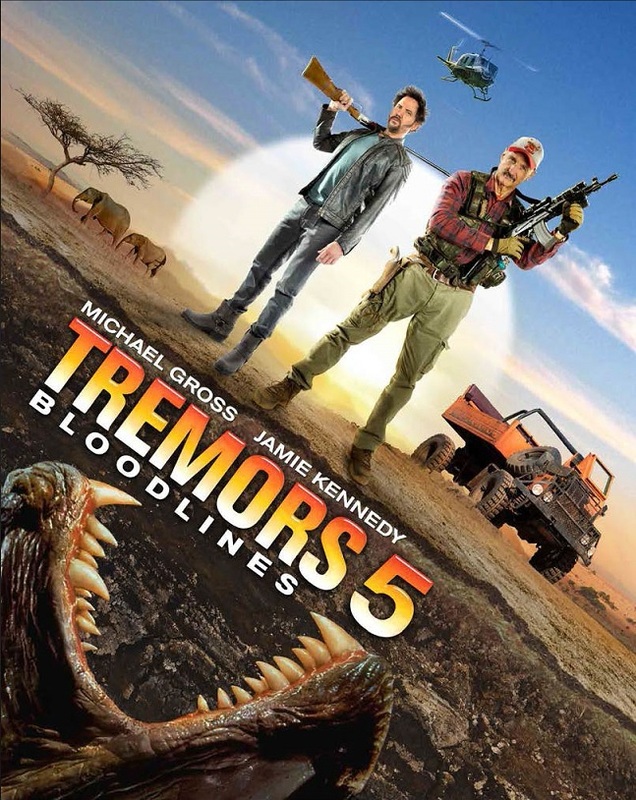 "Tremors 5: Bloodlines" will be available on UK Blu-ray and DVD from 12th October, courtesy of Universal Pictures (UK). Arrow video to release "Nekromantik 2"
"Crimson Peak" - New One-Sheet poster released. It's Cowboys VS Werewolves in "Blood Moon". "Cub" - out now on UK DVD and Digital.